The weather has finally started to be wintry. There were a couple big windstorms that blew most of the leaves off the trees, and we had our first snowstorm. We didn’t get a lot of snow anywhere except in our valley. All around us the snow disappeared in a day or two, but in our valley we got 4 inches and it stayed on the ground for almost a week. 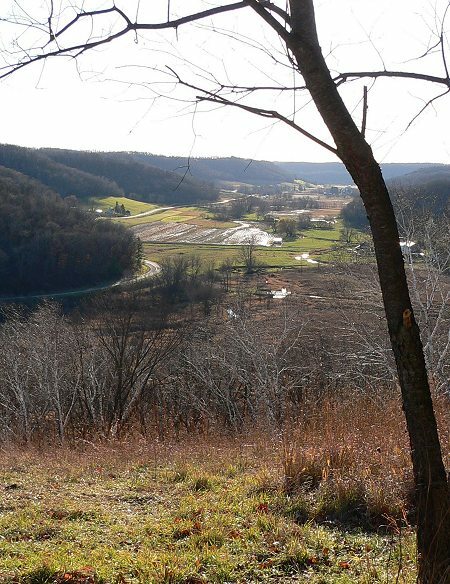 Here’s a picture from Big View Prairie before the snow – you can see why we call it Big View. I’ve almost finished staking Western Field. 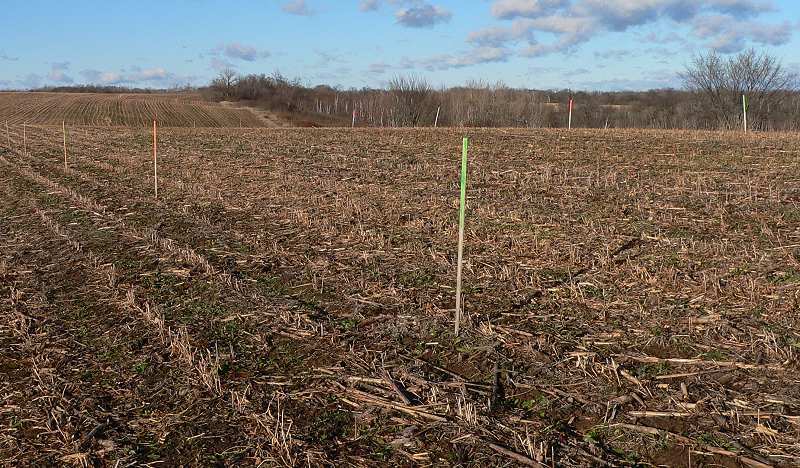 If the ground freezes before I can get back to it – after hunting season is over – I’ll be able to figure out how to plant the part that isn’t staked pretty easily. I have more sections this year – partly because the sections are a bit smaller, and partly because we’re planting a slightly larger area. We’re planting about 17 acres this year; last year I planted 15. 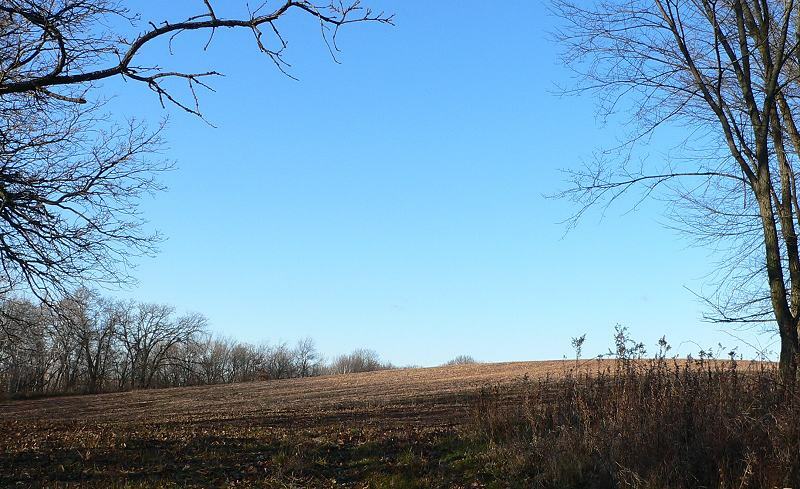 Here’s a view of Western Field from the entrance to Big View Prairie. And here’s some of the staked area from the northern end of the part we’re planting. It looks like a moonscape right now – it’s so large and barren. It will look much better in a few years with all the prairie plants. I’m always imagining what it will look like as I’m planting. 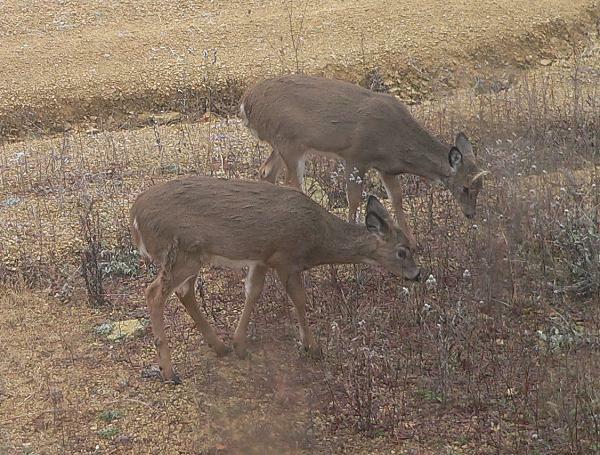 Here are a few deer – they’re young ones, and they were munching on some prairie plants right under our windows.